Developing money consciousness to the point that it is completely automatic has been recognized as one of the most important skills for a successful person to learn. But how can you become a money conscious person? Money consciousness and prosperity consciousness are not the same thing although you will occasionally see someone refer to them as if they are. Prosperity consciousness is a focus on becoming prosperous, even wealthy. Money consciousness means becoming a person who is aware of the financial implications inherent in their daily activities. Money consciousness is not focused on becoming rich as such, but on becoming money conscious, aware of how money affects your life and what the financial implications are in any particular activity in your life. If I decide to do this, how much will it cost? Are there alternative, perhaps less expensive and/or better ways to achieve the same goals? If I do this now, how will I pay for it now? Is it best (most cost effective) to do it now or later? Do I really want to do this or are there other things I would rather spend my available funds on? If I make this choice today will I consider it to have been a good decision tomorrow? Perhaps, if you need an extra bit of encouragement, you will want to write in large print on a note card: Is this a smart spending decision? On the back write the above list of questions, or your own version, in smaller print. Put the first side up in your wallet where you will see it whenever you start to make a purchase. With this technique, anytime you open your wallet you will see the key question and think about whether you are practicing good money consciousness in making your decision. If you are making good money choices, congratulate yourself. If not, review your questions on the back and remind yourself to think about them before initiating an expenditure. Naturally the first part of analyzing any situation from a money conscious perspective is the ability to grasp how much any particular action will cost. Never focus solely on the immediate cost; consider the long term expenses associated with your choice. The most essential part of the whole process is that you must always know how you will pay for anything you do at the time you do it. And you must do so without using money that is needed for essential purchases elsewhere. Don’t forget this either. Charging on a credit card is not paying at all! If you temporarily charge the expense to a card you need to know where the money is coming from to pay that charge before interest accrues. There are many ways to go about developing money consciousness. It doesn’t matter how you do it. Just keep working at it until it is automatic, and seen as a positive part of the decision making process. Certainly everyone deserves a little chocolate sometime! But it should never come at the expense of the electric bill or the house payment. Master this skill and you will have discovered the key to learning how to live on less than you make and always having all the money you need for every good purpose, including an adequate amount of chocolate. 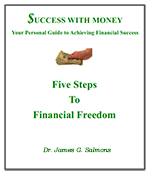 Money consciousness, without a doubt, is an important key to financial success. As you adopt a money conscious lifestyle you will find all of your financial decisions improving and your bank account growing.